Hi; And welcome to my Avon Sale Finder Website! I am an Avon Representative, I want you can get the Best Prices on Avon Products! As an Avon Representative I know where the best Avon Deals are, and post them here! start here, or Shop my Avon Store directly. 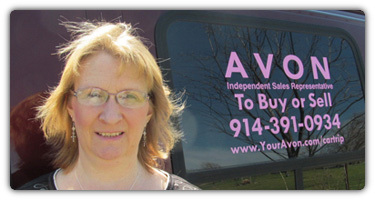 Thank you for Shopping Online with Avon Representative Cindy! Free Avon GlimmerSticks With $50. Purchase! Avon Anew Vitamin C Skin Care Collection - Buy 2 Get 1 FREE Lip Treatment! Avon Flourishing Honey Blossom Fragrance NEW - SALE! Current Avon Sale and Promotions! Find Your Favorite Avon Products On Sale! This is the Best of the Avon Campaign 10 Brochure Sale. Campaign 10 is Active from 4/16/19 through 4/29/19. Shop Avon Campaign 10 brochure online at my Avon Store, or see the Sale Highlights quickly right here! When the next Campaign Starts I will update this page. Remember Prices are Available for this Campaign and the previous 2 Campaigns! Shop Avon Makeup Online Sale Up To 50% OFF! From the Avon New & Now section - New Colors Provocative Spring Colors - Click the image to see more like this! Avon Lipstick On Sale 2 for $10. This is a great time to buy Lipstick! See more! Go to my Avon Online Store and see all the great Avon Makeup Sale Offers. Click the image below to go directly to this sale page on my official Avon e-store. 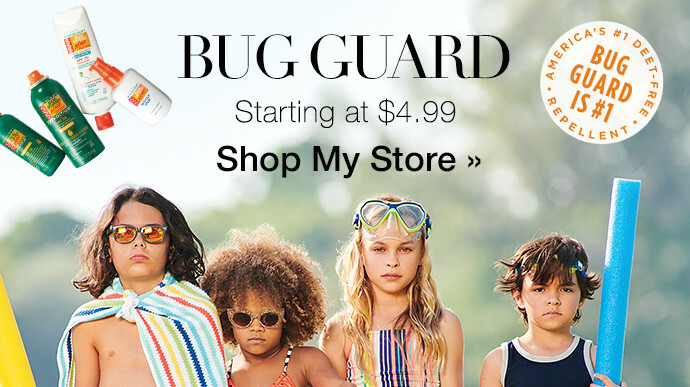 This is a great time to get your Summer Skin Care Items from Avon! Many come with a SPF sun block built right in! See all the Avon Skin Care items on Sale at my Avon Online Store! Shop Avon Bath And Body Products - Save Up To 50% & on Select favorites! Skin So Soft too! Shop Bath And Body With Avon Representative Cindy at My Avon Store, or click the image to to to the Avon Bath and Body Sale Page! Shop NEW Avon Jewelry Sale Up To 50% OFF! See The Avon Jewelry Collections and all the Avon Jewelry on Sale - click the image below! Shop Avon Jewelry at my Avon store! Prices posted are from Campaign 10 Brochure. Cindy Artrip are not responsible for price discrepancies, sorry. Active from 4/16/19 ~ 4/29/19. Click the image to Shop All the Avon Brochures Online! Avon SweepStakes WIN FREE STUFF! The Avon A-Box $10. w/$40 Order! Shop Avon Outlet ! 65% Savings! 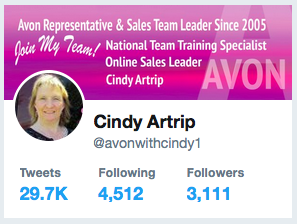 Avon Representative Cindy On Twitter!